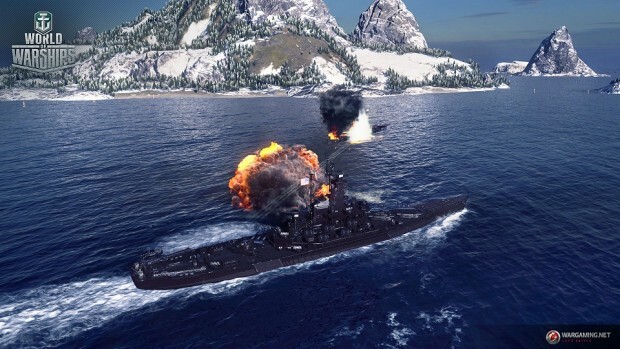 It’s ship-shaping up to be a big week for World of Warships. Tomorrow, Update 0.7.11 drops, bringing help for destroyers, new battle types, and there will be sales galore over Thanksgiving weekend, along with a new PvP event on the extended Halloween map. Update 0.7.11 kicks off the last stage of the Royal Navy event and Season 4 of Clan Battles and brings new weather, including the Thunderstorm front which makes spotting and aiming more challenging, and changes damage models for destroyers to aid in their survivability. You can put them to the test in the Halloween event, which now includes PvP battles and “Twilight” rules, which pit two teams of seven ships each against each other on a shrinking map. While you’re in the game, you can also take advantage of sales on just about everything, with discounts of 30% to 50% on premium ships, port slots, and consumables, along with reduced costs for training ship crews. Those start on Black Friday, Nov. 23, and run until the 30th. New missions during this time will award loot boxes, which can contain such goodies as intimidating black camouflage and premium time and ships — black camo for Black Friday, get it? For more on everything going on in World of Warships this holiday weekend, visit the World of Warships website.